Homeowners have chosen fiberglass to insulate their homes since the 1930's. 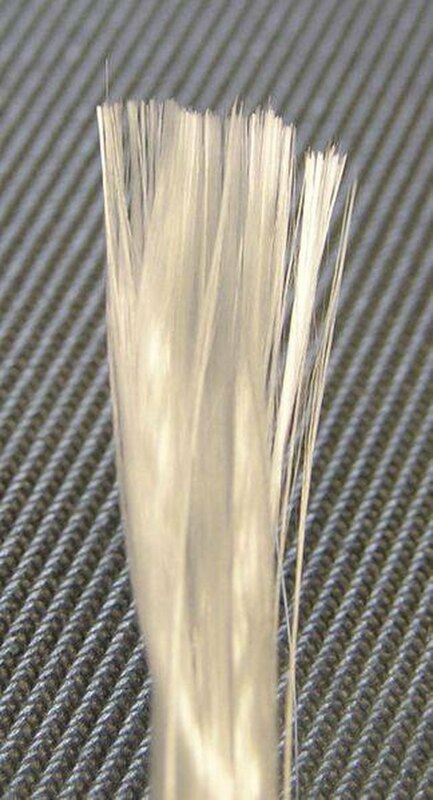 The man-made fiber was first adapted for use as insulation by a scientist at Owens Corning as an alternative to mineral wool and other flammable materials. Owens Corning's patent was for an "alumino-borosilicate glass" that softened at high temperatures and could be drawn into long, thin strands that would then cool without hardening and, although brittle, could be fabricated into "batts"--thick, narrow sheets of stacked filaments that could be tucked between rafters and into walls, providing fireproof insulation. The results were so positive that fiberglass is still the world's most popular insulator. Fiberglass' insulation qualities are due to two major traits; its non-conductivity and ability to capture air. All materials respond to heat and cold but their molecular structures determine how they are affected. Heat excites molecules and makes them move faster, allowing energy to "radiate" in the form of heat from the material--it's why we burn our hands when we try to taste food before it's cooled after cooking. Some materials allow energy to pass through easily--they are good "conductors" of energy. Others, though, absorb heat better that they release it and these are called poor conductors. Glass is a lousy conductor of heat--just put your hand on a glass window, then on its aluminum frame. In the summer sun, the window will be warm and the frame hot but on a frigid winter day, the window will be cool while the frame is freezing cold. Heat is running right through the better-conducting aluminum frame but is being held up by the glass. The reason a thermopane window is so much better at insulating is that it provides two low-conducting panes if glass around an intermediate "atmosphere" of air to "step down" the transfer of heat energy from one side to the other. When the chemists at Owens Corning perfected a way to spin glass into usable fibers, they created a way to capture air between millions of layers of poorly-conducting glass. In addition, fiberglass maintains this ability over a longer period than other insulation materials like cellulose or cotton that tend to settle over time, reducing the amount of air captured between layers. New processes are being perfected that use recycled glass and less boron in the manufacture of fiberglass to improve its carbon footprint and limit the impact of the rising cost of boron. Fiberglass is still one of the most cost-effective and easy to use insulators but came under scrutiny as a possible carcinogen in the 1990's. In 2000, though, a National Academy of Sciences report cleared fiberglass of suspicion in respiratory cancer forms such as mesothelioma. Fiberglass' primary drawback appears to be its ability to irritate skin and tissue, a problem that can be managed by proper handling and clean-up. Homeowners who have to remove old fiberglass insulation, such as might be necessary when batts get wet, should follow the same safety procedures as when they install it.